Lavender Roasted Almonds — urban. apron. A little over a year ago, I began reading a lot about the benefits of soaking and then dehydrating nuts. When you soak nuts in water, it breaks down enzyme inhibitors that make nuts hard for you to digest - making it easier. After soaking, you dehydrate the nuts. Which, if you don't have a dehydrator, means placing them in the oven at 200 degrees for 10 hours. But, you can cut down the process by roasting the nuts about 30 minutes at 300 degrees and then increasing the oven to 400 degrees and roasting for 10 more minutes. This is the method I prefer... because I've never quite mastered the patience thing. The added bonus of soaking and roasting - an extra-crunchy nut. For real. I love it! My favorite nuts to soak & roast are almonds, as in the recipe below. 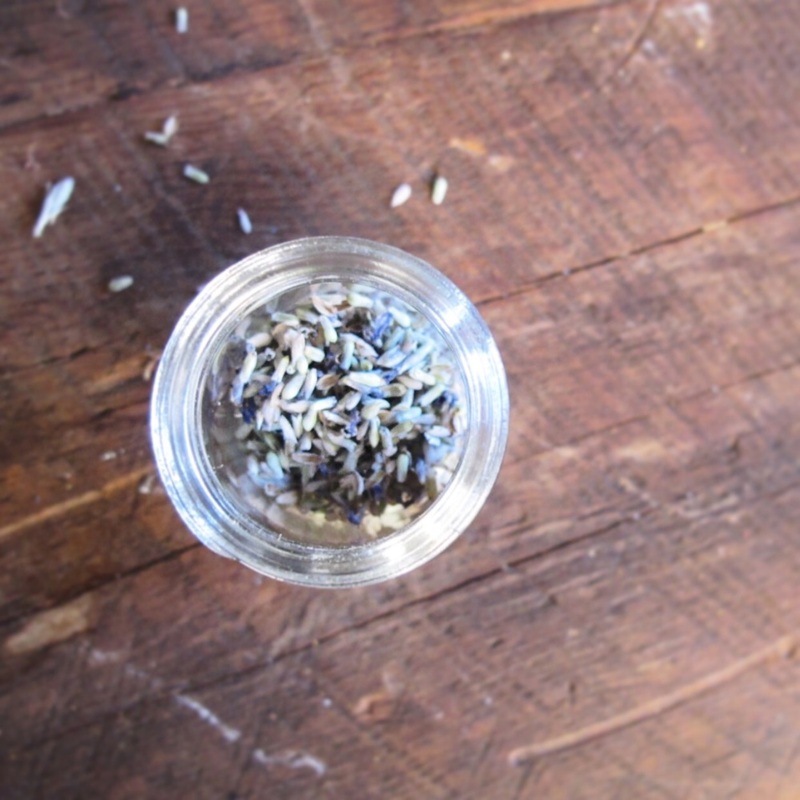 I use lavender because I have a jar of dried lavender in my kitchen. It's the result of last summer's prosperous lavender plant. Plus, it makes your daily almond snack not-so-ordinary. If you don't have lavender, you can also use rosemary! I love that as well. 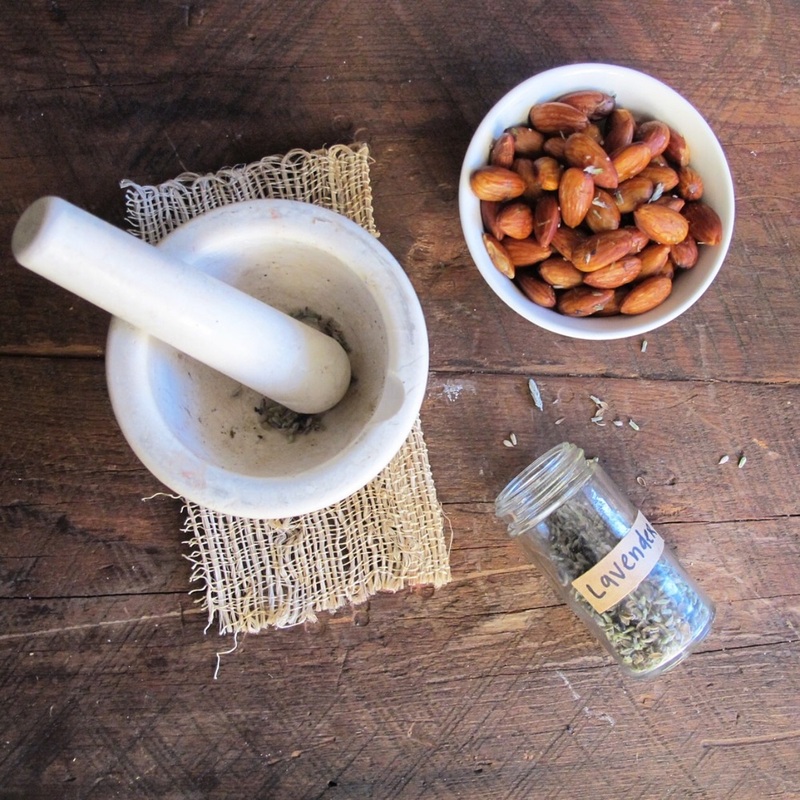 Soak the almonds in a container filled with water and a dash of sea salt. Make sure there is about an inch of water covering the almonds. Soak for 24 hours at room temperature. Drain the almonds and place in a bowl. Toss with the salt and olive oil. Roast in a 300 degree oven on a baking sheet lined with parchment paper. Toss almonds halfway through roasting. While the nuts are roasting, muddle the dried lavender so it's coarsely ground. After the nuts have been roasting about 30 minutes, take the nuts out of the oven and sprinkle the lavender over the nuts and toss lightly. Increase the oven to 400 degrees and place the almonds back in the oven and roast for 10 more minutes. Take out, let cool and serve. Or, store in a mason jar on your counter.